It's important to consider a flea control formulation that goes where your pets do - especially one that targets pre-adult fleas, the source of re-infestations. 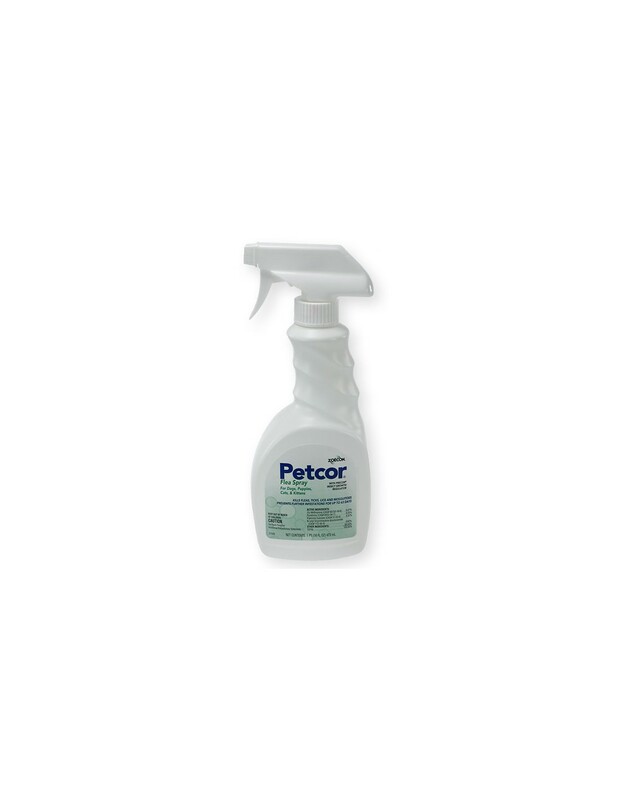 Petcor Flea and Tick Spray with IGR America's #1 professional use "on animal" flea spray. Kills Fleas, Ticks, Lice, & Mosquitoes on pets and keeps them from coming back With PRECOR insect growth regulator. Keeps flea eggs from hatching for 63 days. For dogs, cats, puppies and kittens. Used by Vets, dog breeders, groomers, etc. The mobility of dogs and cats makes it difficult to treat all potential areas of flea infestation. So, it's important to consider a flea control formulation that goes where they do - especially one that targets pre-adult fleas, the source of re-infestations. 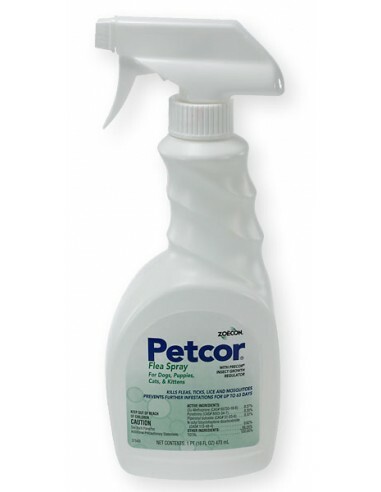 Petcor Flea Spray contains Precor IGR, an Insect Growth Regulator that targets flea eggs on the animal by sterilizing them. For flea and tick control on dogs, cats, kittens and puppies. On animal treatment for pets. Use at the rate of 1-2 squeezes on the trigger sprayer per lb of body weight. Apply liberally and thoroughly to dampen (do not saturate) the coats of dogs, cats. Re-apply weekly if needed. For puppies and kittens weighing less than 3 lbs, wrap them in a towel that has been lightly sprayed with Petcor or apply to cotton ball and thoroughly work into coat. Re-apply every 2 months for continuous home flea infestation prevention.